Andrei Vasilevskiy is Out; Who’s In? With Friday’s news that Andrei Vasilevskiy will miss the next two-three months following surgery to remove a blood clot, the Lightning are going to need to figure out their goaltending situation soon. Training camp is almost here and it’s not entirely clear who steps up to back-up starter Ben Bishop in Vasilevskiy’s absence. GM Steve Yzerman told the Tampa Bay Times’ Joe Smith that he’ll “wait and see”, which likely means that he’ll see how goaltenders in the system handle training camp. But he also said he isn’t closing the door on making a move. 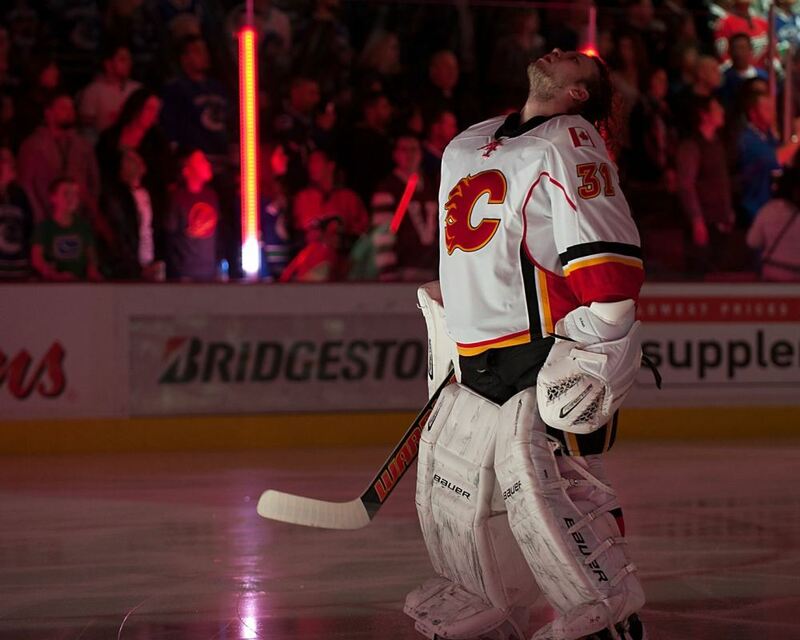 The heir apparent within the system appears to be Kristers Gudlevskis, a 2013 5th round draft pick (124th overall). Gudlevskis grabbed a single game with the Lightning the season following his draft, stopping 36 of 38 shots en route to a win. However, he was never called back up. He struggled in the AHL, posting a .901 save percentage through 34 games. He also spent significant time in the ECHL that season. Last season wasn’t an improvement. He posted a .900 save percentage through 46 games with the Syracuse Crunch in the AHL. His recent performances cast some doubt on whether Yzerman will turn to the 23-year-old as his number two on opening night. Also waiting in the wings is undrafted signee Adam Wilcox, who just finished a solid career with the University of Minnesota Golden Gophers. Last season he posted his lowest save percentage in three seasons as the Gophers’ starter, a respectable .912 through 38 games. 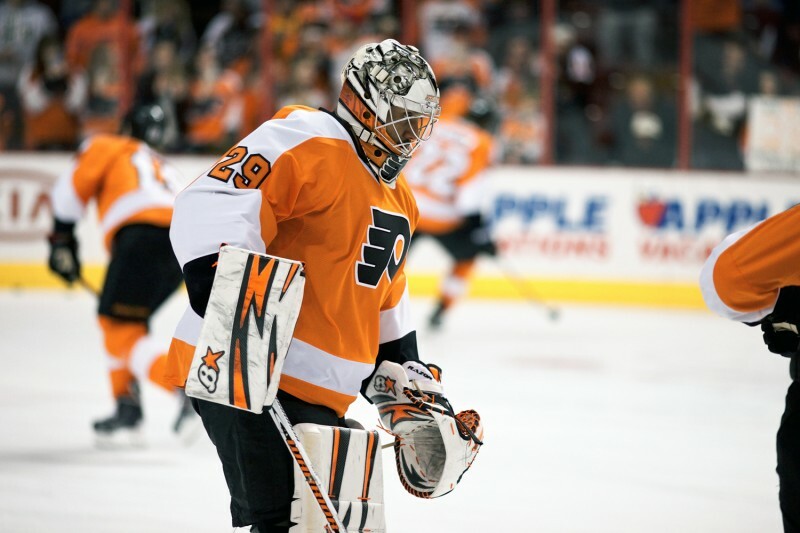 In his other two seasons he played 39 games with a .921 save percentage and 38 games with a .932. The potential is there with Wilcox, but he has a big transition ahead of him. He grabbed two games with the Crunch after the NCAA season ended, and those games didn’t go great, but it’s a sample that’s almost not worth acknowledging. Wilcox has potential and has a solid history, but the Lightning will really need to see something special out of Wilcox to trust him with a jump to the NHL straight from the NCAA instead of giving him time to adjust and develop in the AHL. Development could be a key issue that makes Yzerman turn away from goaltenders inside the organization. Those guys are young and need to play. There’s no doubt that even if Vasilevskiy was healthy, Bishop is taking the lion’s share of work, which means a couple of months (maybe more, as Vasilevskiy will likely get a rehab stint in Syracuse) where the back-up won’t be seeing much game action. That could have Yzerman looking to free agency, where there are fewer and fewer goaltenders available every day. Jonas Gustavsson is reported to be accepting a PTO with the Bruins — news that came out almost simultaneously with the news about Vasilevskiy — and Peter Budaj is headed to Los Angeles on a PTO. Outside of them, the options are slim. Ray Emery, who turns 33 this month, is still a free agent and with few jobs available, could probably be had on the cheap and may even be a nice mentor for younger players in the AHL once Vasilevskiy is healthy. Other than Emery, there aren’t many experienced goaltenders available. That may mean that, should Yzerman want to go this route, he’ll enter camp with the team as is and see if a guy like Gustavsson, Budaj or David Leggio, who is on a PTO with the Jets, gets cut from camp by another team. The free agent and PTO options aren’t that exciting. They’d get a veteran who they won’t mind not getting action and they will get a bit of certainty in what a guy like that provides the team, even if the ceiling is pretty low. Another option is to move on a trade. There are a few teams with an extra goaltender who probably jumped to the phones when they heard about Vasilevskiy. Top among those may be the Calgary Flames, who have a crowded blue line and only a couple million in cap room available. 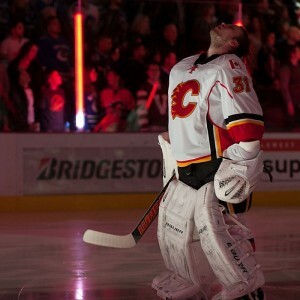 Karri Ramo could probably be had with the Flames spending over $8 million between Ramo and likely starter Jonas Hiller. The Flames have shown an interest in the development of Joni Ortio, giving him games in his 22-year-old and 23-year-old seasons. If the team believes he can step up, Ramo could be on the move. The Avalanche may also be willing to part with Reto Berra if the price is right. Coach Patrick Roy publicly voiced displeasure with Berra last season and it’s clear that the team is grooming Calvin Pickard as the goaltender of the future. There’s also Anders Nilsson, who was acquired by the Edmonton Oilers in July. Nilsson has posted quality numbers of late, but is entering a three-headed monster situation with the Oilers already carrying Ben Scrivens and the recently acquired Cam Talbot. There’s a similar situation in Brooklyn, where Kevin Poulin, who was re-signed this summer, looks to be the odd man out on a team that already sporting Jaroslav Halak and Thomas Greiss on contract. There are likely other options as well, like the Minnesota Wild’s Niklas Backstrom, though his large contract, NMC and injury history makes his deal nearly unmovable for the Wild. And that’s what makes this situation interesting. The Lightning have nice goaltending depth, but all of their players are young. Removing Vasilevskiy creates a complicated situation where an unproven goaltender needs to step up and stepping up means limiting their ice time. If a prospect doesn’t stand out at camp, Yzerman will need a veteran presence. He can get someone better through trade than through free agency, but the price will be greater, which is difficult for a team who currently sits just slightly over the salary cap.